I’m writing to you from our brand new “LeadDyno 3.0” interface! It’s the biggest new release since we launched our 2nd version back in early 2013. As an affiliate and partner, I’d love for you to check it out today. To access it, just log into your LeadDyno account and select the new option in the upper-right. 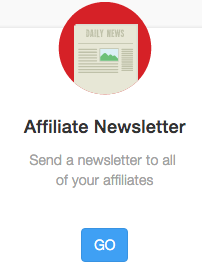 You can access our affiliate newsletter template from there. As a partner of ours you are one of our expert users. So let us know what you think, as we are keen to get your feedback and further feature requests. Our daily webcasts now feature our new interface. If you’re interested in a primer, please sign up for a date and time that works for you here. I’ll show you exactly how I use the new LeadDyno to help our own affiliates market our product, and I’m happy to take your Q&A and demo whatever you want to see on the fly as well. Again, here’s the link to sign up for one of our webcasts. 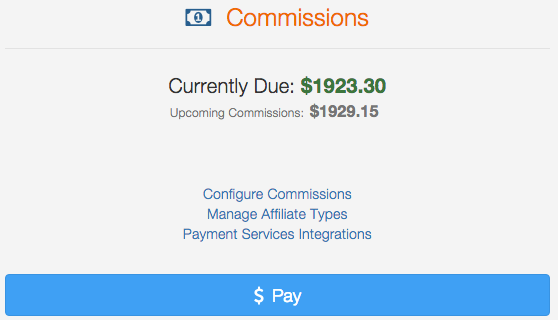 When people hear what we pay in affiliate commissions they think I’m nuts. “Why pay that much when you could pay less?” they ask. Sure, we – like you – could trim affiliate commissions and still have productive affiliates. But I’d rather encourage you to refer LeadDyno as much as you can. We pay Google $7/click and Facebook $3/click or more, just to get qualified traffic to our site – I’d rather give you that money for a quality referral and customer. Here are some new, quick social shares that’ll help you promote your “inside scoop” on the new release. We haven’t announced this elsewhere yet, but likely will in the next couple of weeks. I’m also looking for a knowledgeable user to write a case study that details how he or she uses LeadDyno to run your affiliate program. We’ll post the article on our website, we’ll link and promote your website and program, and we’ll pay you for writing the piece. If you’re interested, please email me back and we can chat about details.